Welcome back all my revered readers! It has been quite some time since I posted an entry on the blog. Some of you have been in constant touch with me yet I have missed my long writing sessions because blogging is such a wonderful way of further learning for me. The last few weeks have been like a whirlwind, a lot has happened on domestic and personal front apart from making a short trip to Karnataka and Kerala on Diwali. I celebrated Diwali quietly in an ashram without any noise and loud festivities. However, before I start narrating my travel stories, first of all I would like to wish all of you friends a happy belated Diwali. This is for the reason that I have wished none of you personally on that happy occasion. 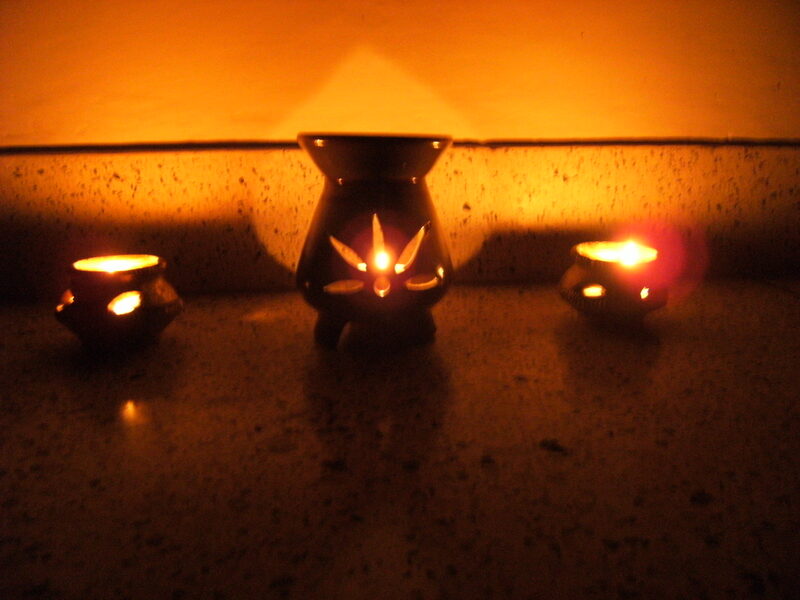 Somehow, lamps and lanterns induce some kind of subconscious utterance of ‘Astoma sadgamaya…..in me . So with these lovely thoughts let us pick up from where we left on 10th Sept’11- new light, new awakening and new learning each day. Let us throw out all the darkness in us consciously and invite cheer, joy and new light in our lives. And as the year ends, the plan for my next year activities, travel, family commitments etc have already been chalked out and will be executed as per the will of the Divine. Next year has more travel plans than the previous years so there could be some breaks in blogging, hence kindly bear with me. In spite of intermittent breaks do not leave the connection and bond that you have created with me as this friendship and fellowship of spiritual learning is unending. The subsequent posts will be based on this topic and new light will be dispensed on our past heritage which has intense glorious past and a huge store house of ancient knowledge. Prior to the onset of a new segment ‘D’ which has a title ‘Our lost rich heritage’ which will deal with the unknown, unseen, untapped hidden forces in ourselves, let me tell you something about my journey down South in this post to begin with. Some of you have been curious to know about it and I have replied to you quite briefly apart from sharing a few selected pictures. Let me now narrate a bit about my travelogue too. The short pilgrimage that I made recently if it is to be summed up briefly was both- awesome yet little disheartening. For many years I was very much inclined to visit the caves where Swami Nityananda of Ganeshpuri had meditated in Kanhangad, Kerala. Finally the day came when I and my daughter packed our bags in excitement to spend three days of Diwali peacefully in a quiet and spiritual place. But as soon as we reached there on 26th Oct’11 evening from Mumbai, we became quite unsettled as the basic amenities and needs for our living were badly missing; a sense of apathy in the premises saddened me. The night was somehow managed and it was decided that we shall leave the very next day for Mangalore where we had alighted and instead a few other religious and spiritual places shall be explored and visited. I assured my daughter that the trip will not be a waste and there is definitely some divine plan for us. As we know most of the pilgrimages are either impoverished because of lack of funds or sadly the funds are misused without people realizing that the rich heritage that we have inherited from our spiritual fathers have inestimable value and worth and that it should not be squandered away, but who really wants to know and cares!! On 27th Oct morning, I got up happily at 7 am and as my eyes opened I got to see a beautiful morning sky as though a painter had painted his canvas recently and with my groggy eyes I ran for my camera and took some delightful shots. 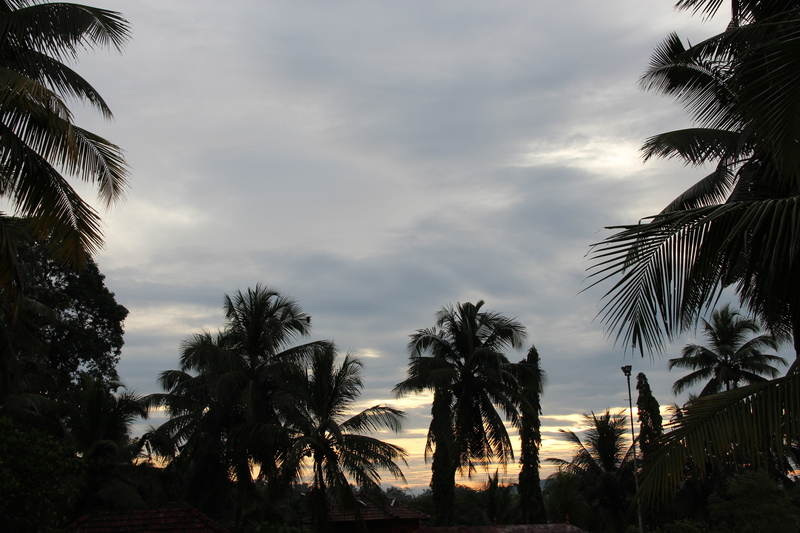 It had rained the previous night and the sky in the morning had a mystic touch and tranquility about it! We got ready after this and headed straight towards ‘Dhyan Mandir’ and entered the caves and meditated for half an hour in that dynamic place where Swami Nityananda had lived in maun or silence. One wonders why did he make so many caves with his own hands carved out of a huge rock? How many of us know the greatness of such dynamic places? As I sat there meditating, it was hard for me to leave the place as I got glued to it; it was so powerful. I did not want to leave the place in such a short time. It was at this place that Swami Nityananda began telling me a lot through mental transference about the greatness of the spot where he used to meditate and about the land’s past rich heritage. Some hundreds of years ago, there used to be a temple of a Goddess, a Devi. It was a Shaktipeeth, where the caves exist today hence Baba chose this place. Baba came here to meditate in these caves for more than a decade before he left for Ganeshpuri to embark on his global mission to serve humanity . On top of these group of caves is made an open white temple of Swami Nityananda. After visiting this temple and taking many photos of vast expanse of clean blue sky around it, we went to see another cave where Swami Nityananda hid himself and meditated in the jungles. 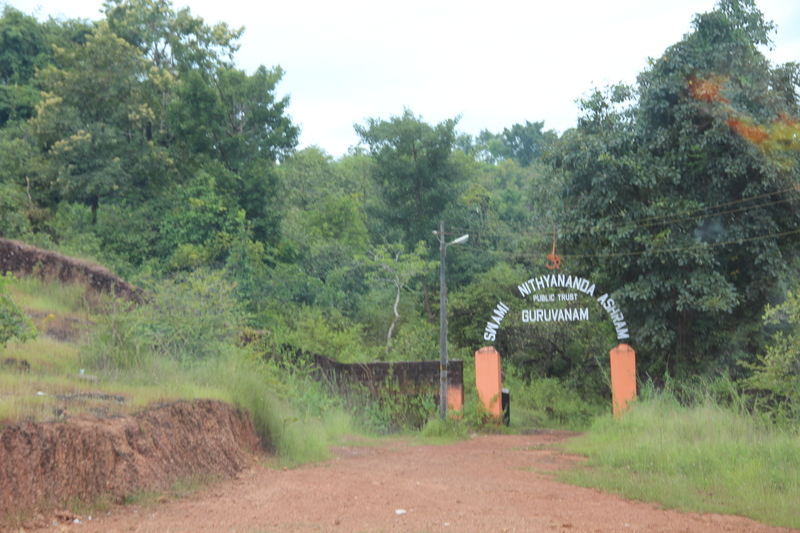 It is just three kilometers away from the previous place and its name is Guruvanam which means the forest of the Guru. The approach to this place is very beautiful, full of thick green vegetation and the place nearby is not at all inhabited and understandably the thick woods were so, so welcome and refreshing. When did I see so much greenery? I asked myself several times at this place. I devoured all the visuals of the massive old Banyan trees standing as a guard and testimony of a quiet epoch and a witness to Swami Nityananda’s penance and silence in this forest.There were trees of varied variety whose names I do not know. Oh! It is still unbelievable that suddenly out of nowhere I saw a forlorn forest. I have used the word forlorn as it hardly has any friend in the thick jungle of urbanization! Guruvanam is under the control of the trust now and can be visited by anyone who would like to explore the inner recess of his core being. I experienced that the forests make you still and quiet without any effort and make you meditate without your knowing it! My mind was still and quiet like the inner bed of an ocean and stayed connected to the Higher Forces throughout those times! I also realized there that my mind must have been tranquil naturally like this many lives ago because of the stillness, quietude, beauty of Nature and the human race must have been a calmer lot unlike modern humanity who has long forgotten about our lost rich natural and spiritual heritage! It is so natural to remain calm in Nature! There is a non – stop stream that is flowing from this cave even today at Guruvanam since Baba was here and is called ‘Paap Nashini Ganga’. It is because of his intense ‘tapas’ that the stream has been flowing incessantly since Baba has meditated here more than sixty years back. I drank the pristine clear mineral water and found it so sweet and heavenly… As a gesture of thanks and in remembrance of Baba’s kind and compassionate grace towards humanity, while I drank this clean and cool water I decided to do more tapas and sadhana so that I could also contribute more of myself to others in terms of my time, energy, love, understanding, knowledge, etc… It will always be a memorable visit and I shall recall this wonderful experience whenever I wish to plunge in silence and tranquility in moments of solitude. 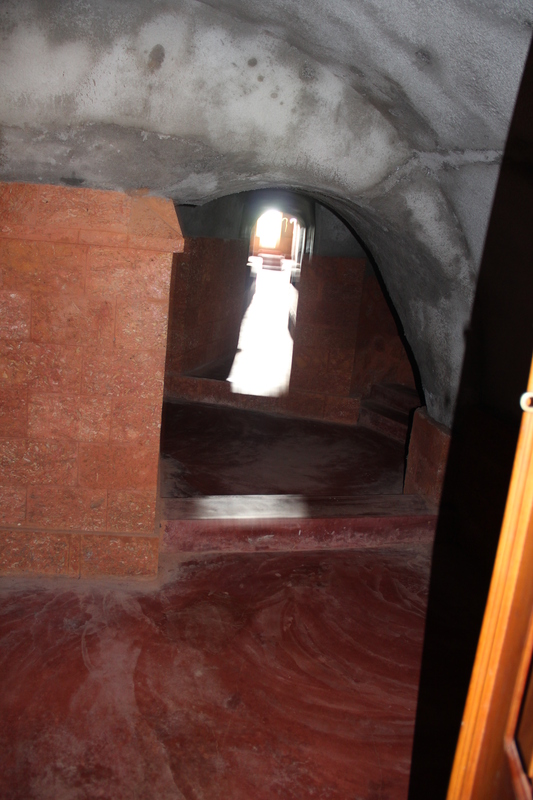 A temple is now constructed near the cave in memory of Swami Nityananda. A random thought- Who will really appreciate this kind of gesture given to us from God and Gurus? Should we not fill our hearts more with devotion and gratitude rather than willful desires and monkey like aping of senseless modernity and urbanization? Should we not fill up our hearts with silence and peace than never ending desires? Isn’t this past heritage more useful than today’s modern technology world? When I sat in meditation in Kanhangad, Swami Nityananda directed me to go to pay my obeisance and take Divine Mother’s blessings before I embark my new year that will be full of challenges and new feats. So in Mangalore which falls in Karnataka on 28th Oct, we made our way to Kollur in the morning where the temple of Shri Mookambika Devi is constructed. It used to be on a hill top they say but now a new temple is constructed at the base for convenience of all people while the ancient idol and the temple still exists on the hill top. Kollur is around 90 kms from Mangalore and the road is not so great but in spite of all this the last patch before we reached the temple in the hilly region made me thrilled as there was very little human inhabitation and more of greenery. 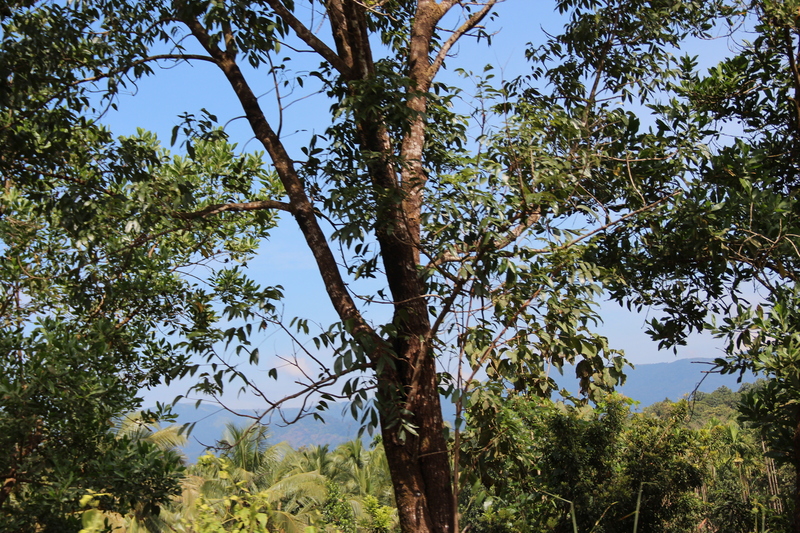 We saw cashew plantation, paddy fields and vast stretches of forest reserves. I asked the driver to switch off the AC so that I could breathe in more and more oxygen. The air was so rich and laden with oxygen that automatically the energy levels in the head and body shot up steadily as we left the city behind. There was a sense of great expansion and the cramped sense of feeling in an overpopulated city appeared unnatural. I don’t remember seeing such thick green woods and forests recently except in my childhood when we used to go to Rishikesh or Dehradoon in summers. During those days when we used to travel by buses or taxis, there were forests, vast fields, rivers, wildlife and long green stretches in between two cities and there was obviously far lesser level of noise pollution. The forests have so much silence and peace trapped in them that all along the three hour journey towards Kollur I recalled each and every word that Shri Mahavatar Babaji, Maharishi Agastya and Mother Earth has told me earlier in times of my meditations regarding their concern about the rapid erosion of our planet’s biodiversity and fast vanishing forests and their negative impact on our whole race . Those of you who have been following this blog, if you can recall so many of my articles in segment C speak volumes about their concern on how to recover our past natural heritage and those posts ask for everyone’s contribution in restoration and revival in some way or the other in this mammoth endeavour! 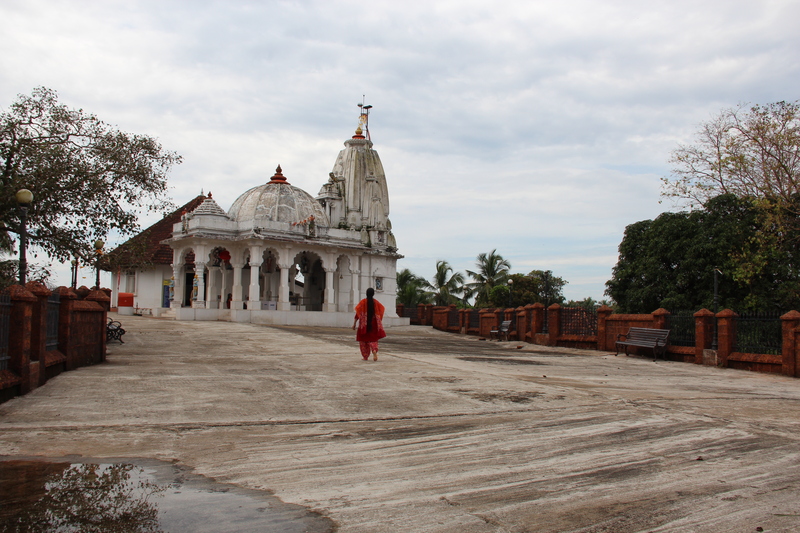 On return journey we stopped at Udupi and visited the famous Krishna temple. This is the only temple of Bhagwan Krishna in India where Lord Krishna hides from you as there is a beautiful window in front of the idol which stops you from seeing the idol. To see the idol of the lord residing there, we have to look through a beautiful golden window and we found it quite bizarre and unique. As we glimpsed through the small holes of the window after our turn came, we were told by the caretaker that our ‘darshan ‘ is over but we were expecting something more. A devotee in the temple later narrated this story to us. 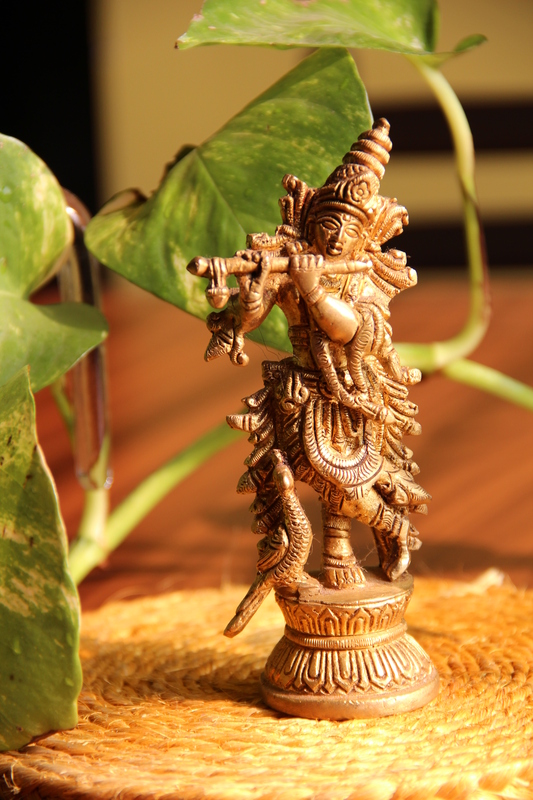 There was a dedicated devotee of Lord Krishna in Udupi about 600 years ago who belonged to a lower caste in society. His name was Kanak Das. He belonged to Bhakti cult. 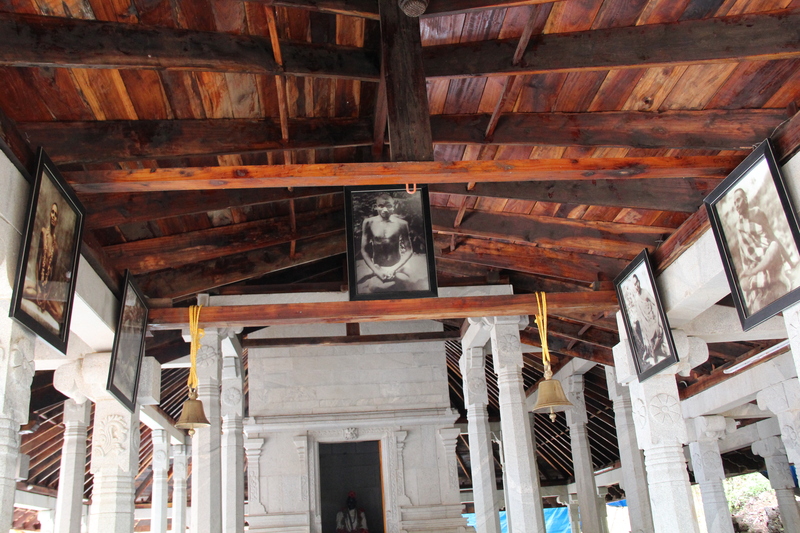 During those dark ages, as per the social norms, men belonging from the lower caste system were not allowed entry in the temples but Kanak Das came to have a glimpse of his favourite Lord. The priests and other people were outraged on discovering about this incident. 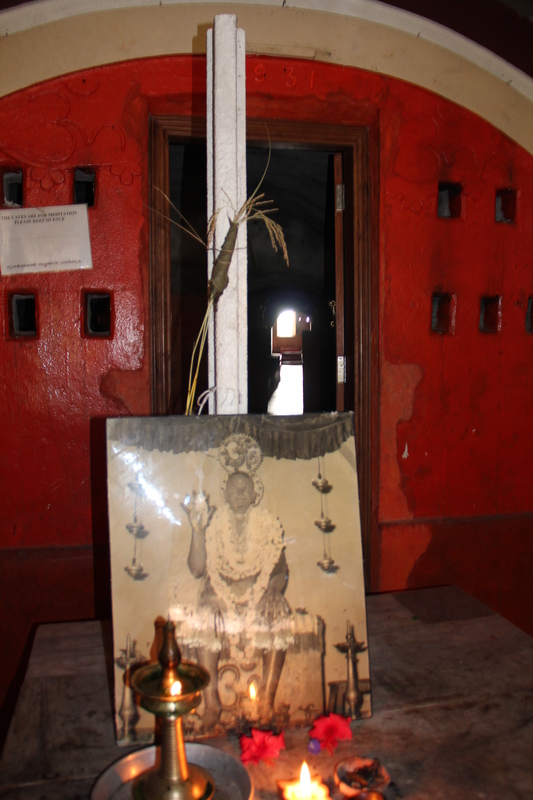 As a punishment, Kanak Das was kept standing in the courtyard near a window in the hot sun. Standing there through a window he could get a small glimpse of Lord Krishna. 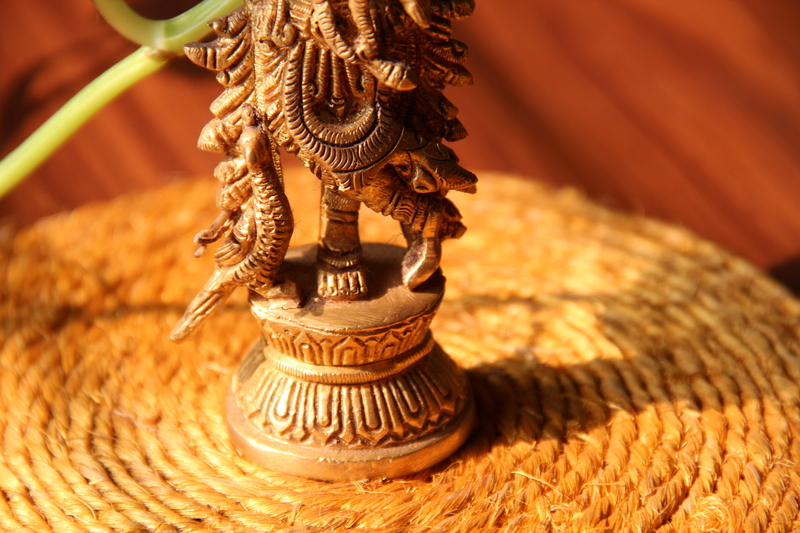 He called out to his protector Krishna with devotion. They say that the idol of Lord Krishna which was facing a pond earlier seeing this ill fated event, turned its face towards Kanak Das by shifting from its original position! And since then Lord Krishna is behind a window and everyone gets to see him through the window only! How fascinating, isn’t it? Footnote- From the time when I came to Mumbai in 2001, I had a strong desire to grow Banyan and Peepul trees on a large ground or piece of land but it never materialized. About a year and a half back, I came across a small news in my local newspaper about one young man from Kalwa, Mumbai who has a passion for nature and who along with his group of friends rescues Banyan or Peepul trees growing on buildings. I was too engaged in writing articles on serious matters and without a clear vision and blessings of my gurus, I never embark on any crucial or highly useful projects like that of afforestation and tree plantation. During my break of two months from writing, I reconnected with Vikram Yende and invited him home. It was a delight meeting him with his compatriot Mahendra who practices Ayurveda. They have marvellous ideas and concepts about reviving old, useful medicinal trees, making ‘butterfly gardens’, nurturing, planting trees etc. They recommend native trees like Banyan instead of foreign trees because native trees which have fruits also invite birds thereby increasing the number of birds in our environment and propagation of trees is facilitated naturally. Though they are passionate about their ideals and have love for nature, they need to be groomed, directed in the right direction and their noble cause should be encouraged and supported in every sense. Any of you who wish to return or repay Mother Earth and wish to contribute in time, talent, skill, experience or money can write to me at spiritinlife@wordpress.com and I shall forward you the pdf files about his NGO ‘Green Umbrella Organisation’ or you could talk to him personally on his mobile no-9967435681 or contact him at vikram.yende@gmail.com. NGO’s, funding agencies, professionals who can collaborate, guide or just compare each other’s work shall also be very encouraging and rewarding for this group of young boys. This entry was posted on Thursday, November 10th, 2011 at 11:07 pm and is filed under Uncategorized. You can follow any responses to this entry through the RSS 2.0 feed. You can leave a response, or trackback from your own site. A very Good Cold and Crispy Morning from Delhi. 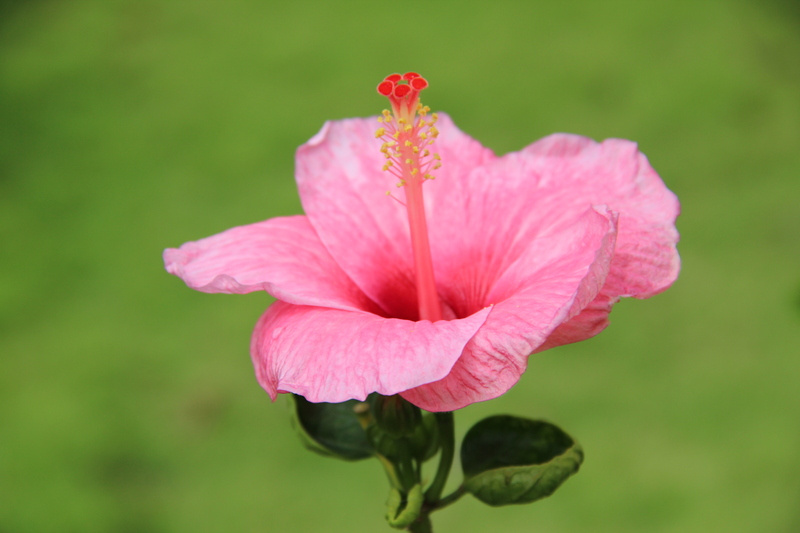 It was wonderful and so refreshing to come back to your blog again with such a descriptive and rejuvenating post. Your blog remains and will remain one of the most visited links in my web-browser and thus it has created a separate icon for the “Spiritinlife”. It’s been almost two months I visited your blog last. I was not lost this time. Somewhere in the sub-conscious the words from your post, your advices were playing in my mind to keep me on the right path, considering I did deviate a lot many times getting too engrossed in the worldly things once again. As I turned 30 years old years yesterday, a sense of question came to my mind – where my life is heading? This was one of the most memorable birthdays of my life since I spent time with my parents on this day after 11 years, went to Kali Bari for the Goddess’ blessings and had a simple lunch with them at home. But the question bothered me since morning. 30 years of life are gone and now what lies ahead? Prior to this, I had a visit to a very serene and quite spiritual town of the Dalai-Lama – Dharamshala-McLeodganj. More than the fun-frolic part of the trip my aim was to experience peace and it did happen. We trekked to a locations like Triund, BhagsuNag Temple, Sri Guna Devi Temple and Sri Durgeswar Temple. While doing our trek to BhagsuNag Temple we saw a Yogi in a distant hill meditating in peace beneath a tree and a small hermitage. He was quite far from the noise of the tourist and trekkers and re-affirmed my belief that till this date we have such Yogis meditating in the mountains. I am sure, as you mention in your blog, there are more such Rishis, Yogis meditating in the higher mountains of the Himalayas. There is more to share which I will do later today. One thing which I gained from this trip – peace, immense happiness, and renewed friendships. Surely, India has a very rich heritage and still there are places which can reconnect you to God. Nice to hear from you again. First of all I want you to know that you describe and narrate your experiences well, I enjoy reading them as good description helps us to imagine well. As you have described your recent trip tp Dharamshala, I can very well imagine how wonderful and worthwhile your trip must have been. And that you have experienced peace in those pockets of the Himalayas makes me feel all the more joyous for you. No matter how and where you experience peace, what is essential is that you must experience it again and again to connect to your higher self. As you say you have questioned yourself about your destination in life at the turning point of 30, I suggest you spend sometime with yourself and plan your future;it is very important to re-assess life again and again at important milestones. And the lesson that you have picked up from your injury while trekking is a good sign as we must learn and learn and learn all our life, i t is never enough. And if you pick up the right thing from every episode or event in daily life, your mind will become subtler and deeper realizations will dawn. Thanks for liking both the posts so much to have read them at 7 in the morning and keeping spiritinlife very close to your access on your computer. Hoping to bringing in more insight for all of us through these posts and I am the biggest gainer in this process!! Delighted to read this blog post. After reading this blog, I prayed to Babaji that I would love to visit and meditate at the Kanhangad ashram. Please make this trip possible this year itself. Thank you Babaji. blessed to read this, and it was really great to know about Lord Krishna’s devotee Kanak das. wish to live in this as long as possible. Dear Midhun, this journey is indeed so beautiful. 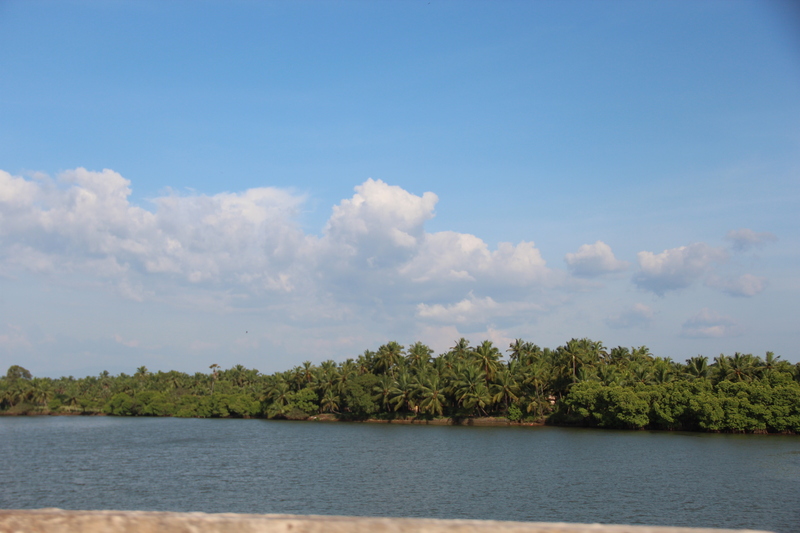 Udupi was special. Even Swami Nityananda spent many years there and there may be many unknown saints too. If we attune our mind with the mind power of those saints even today, we will gain a big shift in our consciousness. And as you rightly said keeping silent is beneficial. If you do this more often for a few hours or even several minutes, it will increase the power of your mind through meditation. When we receive tremendous calmness after meditation, you should hold on to that peace and calmness as long as you can drag it intentionally. Do this regular practice so that one day, your mind becomes very powerful and comes under your own control and command instead of you being controlled by your shaky and wandering mind. I got it. with yours and gods blessing i will be able to reach the stage as you said. thanks ma. Thank you for bringing this post out from the archives today. I sorely miss the times when I was free to travel with you. This post has brought back many memories for me. Thank you for that. I don’t know when I will have the opportunity to travel again with you , but today I feel grateful that I could visit several pilgrimage sites because of you and papa. Heartfelt gratitude for that. Nityanana Baba and Shaligram Baba are close to our hearts. What they have done for us cannot be described and no amount of gratitude will ever be enough. I bow to them. My salutations to Nithyananda baba and Shaligram Swami. Interesting to read that where the caves exist today it was a Shaktipeeth. Thank you mom. I bow at the feet of Nityanandaji and swami Shaligramji . Guru Ma, I too had the fortune to visit Kanhangad and celebrate a quite Diwali of 2018 and meditated in one of those 43 caves. I went to Guruvanam as well and as on date, a beautiful temple is ready and Swami Vidyananda looks after the place 24/7/365. A very very Divine place indeed.